The quest for whiter teeth is very much alive, especially when you quaff as much black coffee as I do! 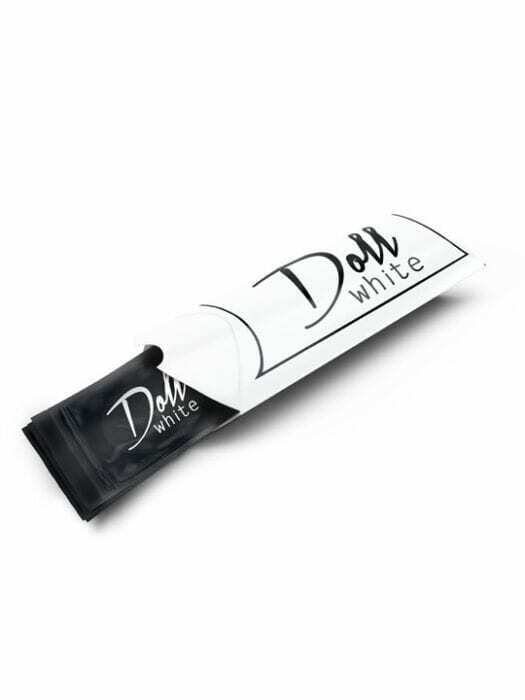 Doll White Teeth Whitening Strips are the perfect choice for helping your gnashers become whiter (when used over 14 days) without the stress of pain. That’s right, the strips are totally pain free. Simply unseal the little black pouch containing the top and bottom teeth strips, position in place and leave for 30 minutes. It really is as simple as that! The 14 day course of teeth whitening strips is £18.99 from Doll White. 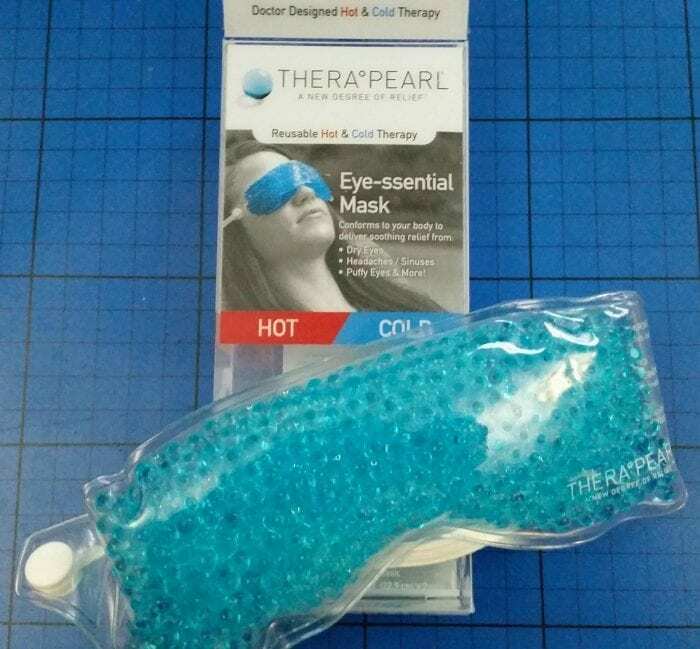 New to the market, the Therapearl Eye-ssential Hot/Cold Eye Mask provides 20 minutes of soothing stress relief and relaxation. Now, the eye mask cannot guarantee total peace… probably best used when children are in bed and the phone is unplugged! Available from Superdrug, priced at £7.99, the eye mask is re-useable and can be cooled in the fridge or warmed briefly in the microwave. 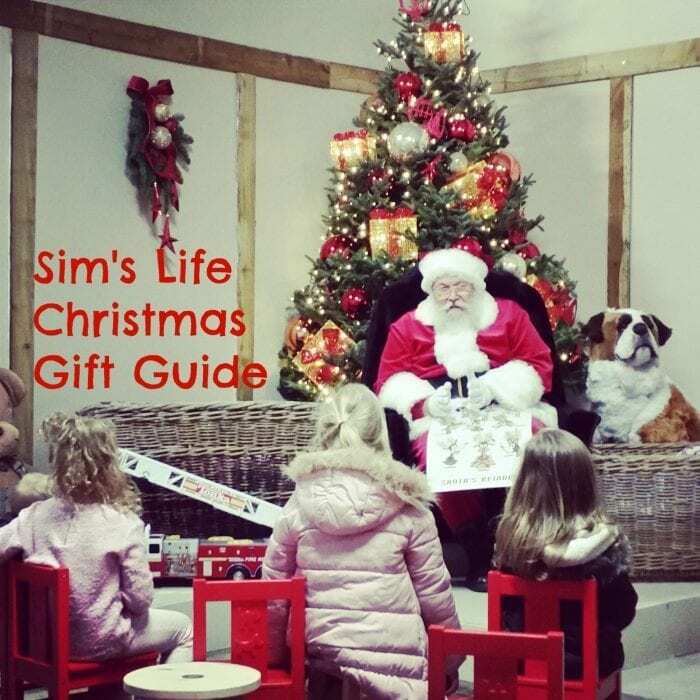 The easiest way to fully relax and pamper yourself this Christmas. With 100% natural Rice Bran Oil, the Japanese Cherry Blossom wax strips are the latest in the epic Nair hair removal range. Not generally a fan of inflicting pain oneself, the Ultra 7 in 1 Body Wax Strips really do give you some control and allow optimum results to remove even short hair from your legs, body and bikini area. 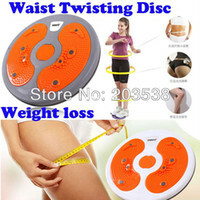 without any rubbing or heating required. Results last up to 4 weeks – providing smooth, moisturised legs for the festive period. 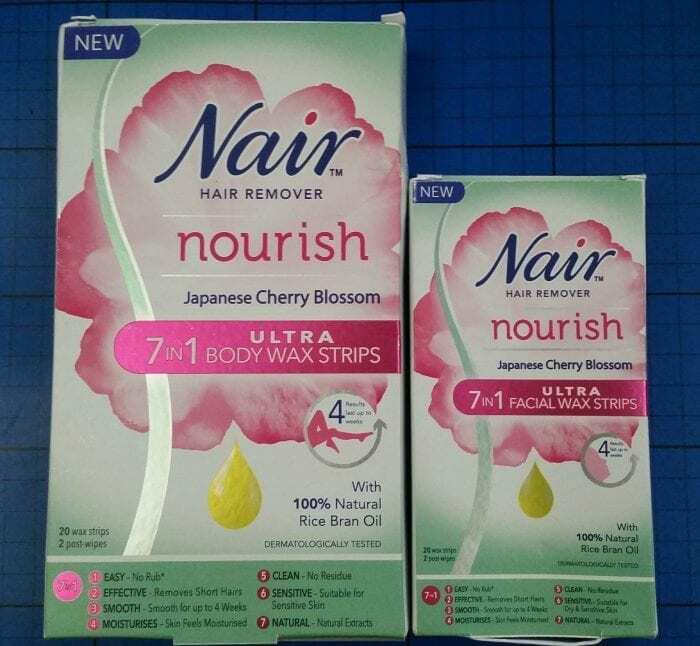 The Nair Japanese Cherry Blossom Hair Removal range is available from Boots. All your beauty products may be lined up ready and waiting for a fabulous pampering session, but you also need to create the perfect ambience too. 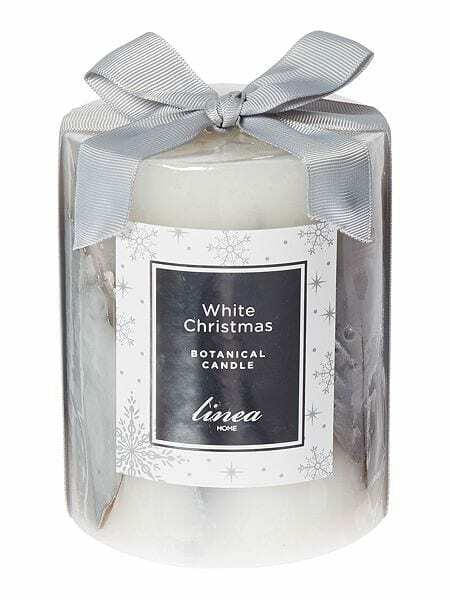 What better way to do that with a scented candle such as this huge, ‘White Christmas’ scented pillar candle from the Linea collection at House of Fraser. With embedded leaves and berries, it almost seems a shame to light the candle. A burn time of 50 hours will provide lots of relaxation time. Fragrance Notes: Top Notes: Cassis, Raspberry. Mid Notes: Jasmine, Iris, Violet, Rose. Base Notes: Wood, Sandalwood, Musk, Vanilla. The fragrance is stunning though, not overbearing and perfect for the colder Winter evenings. Priced at £16.00 (now currently £8.00) from House of Fraser alongside a full range of scented candles and diffusers. Men too should be making an effort with their appearance over Christmas and with the increasing popularity of beards this year, it can be quite difficult to keep the ‘Father Christmas look’ in check! 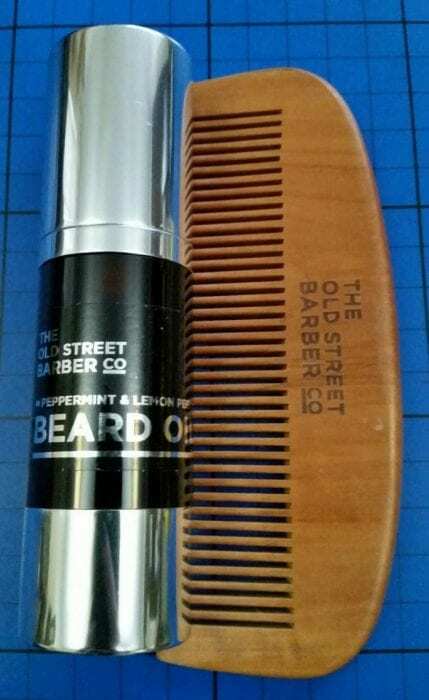 Fear not as The Old Street Barber Co have a fantastic range of products for the distinguished bearded gentleman! Peppermint and Lemon Peel Beard Oil (priced at £20.00) is perfect for all beards, long or short, making your beard feel amazing, with and added manly shine! The Wooden Beard Comb, is the perfect complement for the beard oil, allowing you to tame your beard, moustache or hair (priced at £11.99). Weird Driving Laws You May Be Breaking! I love the eye mask. It sounds soothing and relaxing.